Amid the lively streets of central Granada, this economical accommodation has direct access to historic monuments. 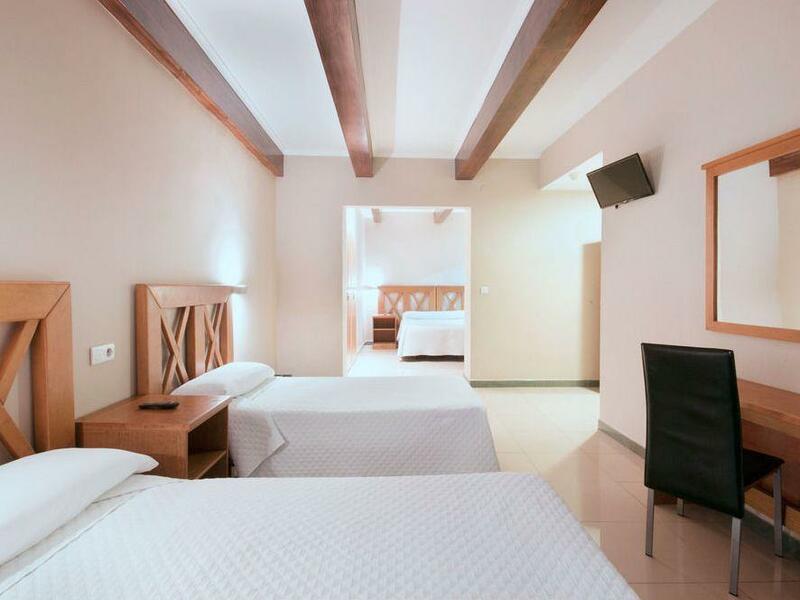 Located on the arterial Calle Gran Via, the heritage-styled Hostal Atenas is a five-minute walk from the cathedral and close to major bus connections. 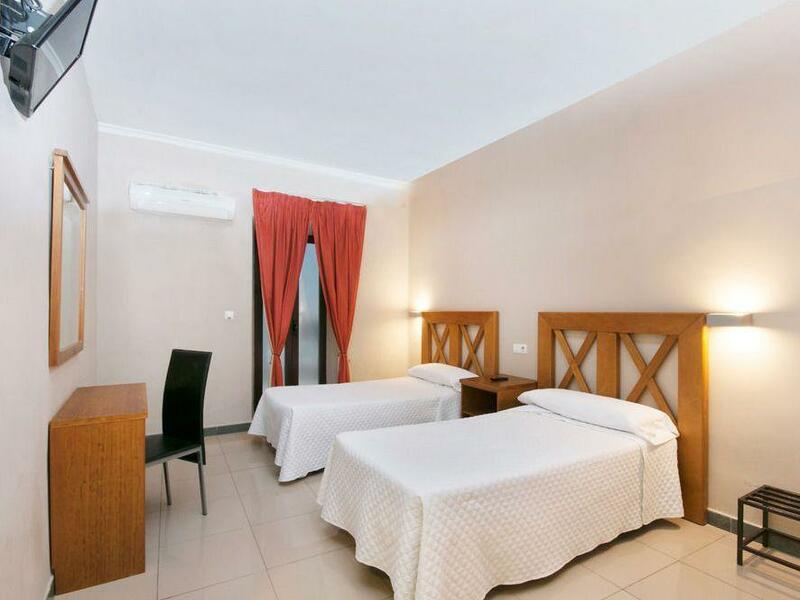 Rooms are kept spotlessly clean and all have private bathrooms, air conditioning, heating, TV and complimentary WI-FI, some rooms freshly renovated with flat screens and new decor. From this position in town, guests don't have to go far to experience the city's cafe culture, with tapas bars, restaurants and plenty of places for churros within close range. To get to the Alhambra takes around five minutes by cab, a walk of 30 minutes along the pretty Gran Via. My friend suggested me to stay at this hotel because it's in the centre of the city and easy to reach by airport bus. I arrived in Granada very late and was afraid that I would get difficulties to find this hotel. But everything went well...it's on the Gran Via main street....so easy to spot it from the bus and some cafe/shops are open till late. 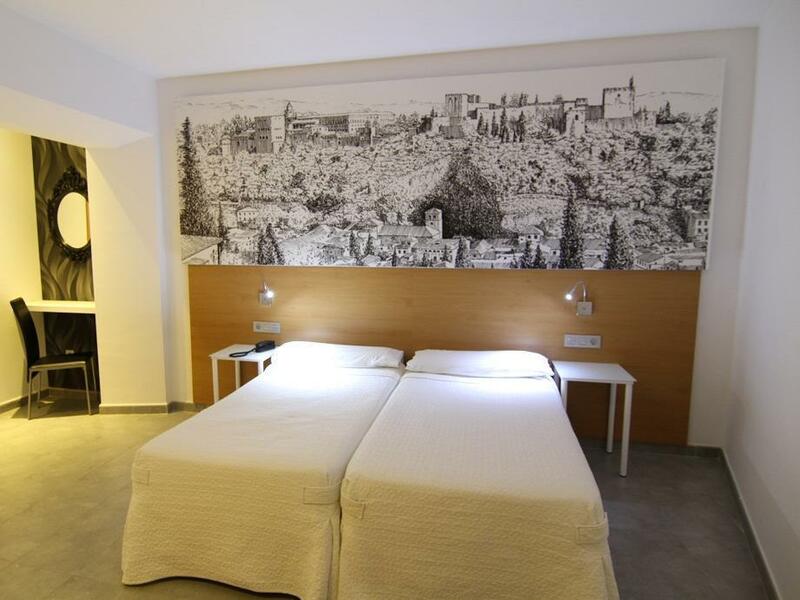 For a traveller who never been to Granada before, this hotel is a best choice. Close to historical sites, traditional markets to high end shops, airport bus stop and Alhamra bus stop. it's hard to imagine this cheapest hostal on agoda.com is located on gran via, the main street of granada, and very close to a bus-stop. they have 4 floors and a lot of rooms. for this reason the hotel staff are busy all the time. they don't have much time to say hello to you. they don't try hard to help you neither. and they are a bit rude by insisting me paying - i said i pre-paid it, but apparently they don't believe. they apologized ten minutes later realizing the mistake. i believe being the cheapest they handle many rude / less educated people so they become like them. anyway, this hostel offered as much value as i paid. all facility are in the working condition, all regulations are followed to the line, can't complain much. 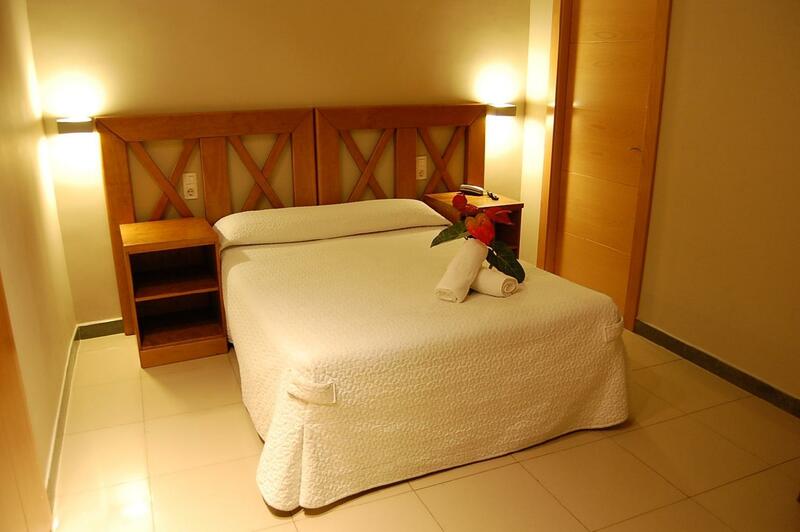 you will find the hostal favorable when you don't want to spend much yet get a tight sleep. The only good thing about the hotel is that it's in a nice location. My sister and I, we checked in well after the stated check in time, however when we got in our room, nothing was cleaned. Beds were tuned over and not made, garbage bin wasn't taken out, floors were filthy, etc. We needed to take off to Alhambra immediately so on our way out we informed the front desk. They weren't sorry or surprised that that had happened. They acted as if it happened all the time. That evening we went to a flamenco show that we booked through the hotel. We went down to the lobby at 5 to 10 as told and the bus had already gone. The receptionist hadn't kept a track of how many tickets she sold to whom and so the bus just went without us. She called the driver and so 8 other passengers had to come back for us 2. That wasn't the worst part. Believe it or not, the flamenco itself was the worst part. My sister and I are complete amateurs when it comes to flamenco. We've never even seen it on TV so we really know nothing. So us two newbies go watch our first flamenco show and we can tell straight away that it's awful. The dancers were so unskilled. The guitarist was OK. So if ever invited to go see a show in "Tant..." (well, we didn't even bother to remember the name) don't ever go. This is the last problem we had with this hotel. Next day we needed to get to the Granada train station at 9:10. We ask the front desk how to get there. Receptionist informs us that we can either take a taxi (10 min) or a bus (15 min). Naturally we want to take the bus at a lower fare and we ask about it. Receptionist tells us to take the #3 or 6 or 11 or 33 bus from the station right outside. We get in the bus and half an hour goes by and still no train station. It's not like there was traffic. Long story short, it took an hour to get to the station and we missed the train. Probably about 100 euros wasted. Just about the worst hotel I've ever stayed in. small but clean enough. the location is very good, 10 mins walk to the train station. got the map from reception, and the staff would tell you the route. 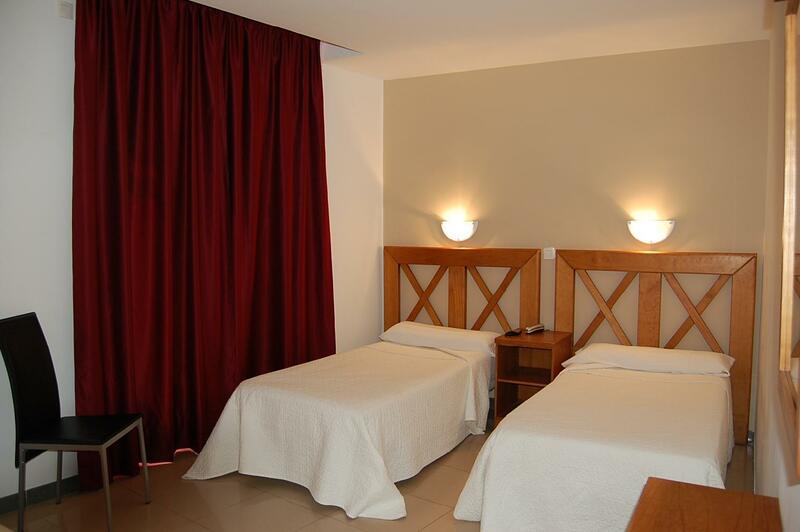 Located in the centre of the town, close to Alhambra and Albaizyn. i got a room with clean pillow. the personal was very friendly, there was a computer in the hall, so i could get the information from the internet. also there was a cafeteria, prices was quite good. i had a wonderfull time in granada - all the sightseens were close to the hostal. it´s a good plase to stop if you are going to stay in granada on business or sport or travelling! upon arriving form the central bus station, we took the number 33 bus and got off at the stop directly opposite hostel atenas. the hostel is on a main road with many other bus routes available at your doorstep including the one that takes you to the alhambra. we arrived a few hours before check in, but as the people in the room that we were due to receive had already left, the woman at the desk allowed us to take our luggage up to our room and leave it there as it was being cleaned. our room had a balcony with a fantastic view. the sunsets from there were beautiful. Room was small and quite noisey. Location was good though and could walk to most places with 5-10 minutes . from the outside the hostel looks like a grand hotel and on the inside it is super clean and modern. it has to be the most value for money hostel i've stayed in for years. It is located in the city center, making it easy to go anywhere. Me and 3 friends just stayed one night in Granada. It's very easy to find restaurants and cafes within walking distance. The next morning we went to the Alhambra Palace. 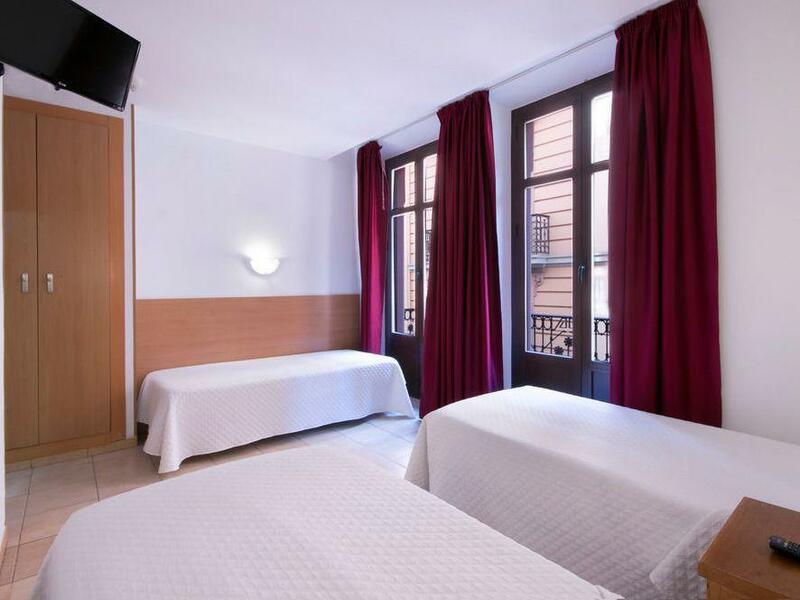 Stay at this hotel is very practical because it is close to shuttle bus stops and granada cathedral. Overall a very good hotel for those on a budget. I was pleased with the quality given the low cost. Room and bathroomm were clean and functional. Rooms are typical European size, not large; however, the rooms were bigger than some other more expensive hotels within Europe. Obras en el edificio nos impidieron descansar. El personal hizo menos o nada para intentar ayudarnos. Realmente decepcionados. El hotel fue fácil de encontrar desde el aeropuerto y la estancia fue normal, sin ningún tipo de problema, lo único que es un poco incómodo es que nos tocó al lado de la puerta de entrada a la planta, que se abre y se cierra cada vez que entras o sales, y a altas horas de la madrugada es un poco molesto; pero por lo demás todo correcto. Viaje de cuatro días a Granada en pareja. Hostal céntrico, en plena gran vía de colón. Desde la estación de autobuses tienes un autobus (número 3) que te deja prácticamente en la puerta del hostal, puedes ir andando a cualquier parte de granada, la calle elvira (llena de sitios donde tapear) queda justo detrás, a los pies del Albaycín y a cinco minutos de la catedral. hostal economico,centrico,con un buen baño,cama comoda,aire acondicionado y un pequeño televisor,tienes parking opcional eso si,la ventana daba a un patio y no se podia abrir del todo. el personal amable,si quieres ir a ver un espectaculo flamenco puedes contratarlo en recepcion yendo un autobus a llevarte y traerte,en frente para el autobus urbano que te lleva a la alhambra. para nosotos un buen hostal para pasar un par de dias.